Is Copper Piping Worth the Extra Penny? Does your home need new pipes? Are you wondering if copper is the best material for your plumbing? Copper pipes have been around for decades. They’re common in houses built after about 1960. Copper pipes remain a good choice in certain circumstances, but plastic pipes have the advantage in other cases. Plastic pipes such as PEX, or cross-linked polyethylene, are affordable, durable and easy to work with. They’ve become the first choice of many plumbers. If you’re considering copper, you should research its strengths and weaknesses before you make a decision. Here’s an overview of the advantages and disadvantages of using copper pipes in your home. 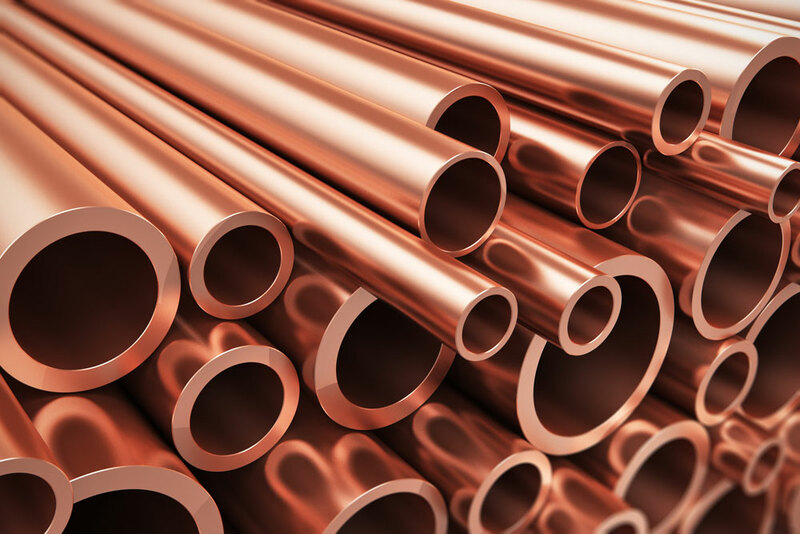 What Are the Advantages of Using Copper Pipes? Copper pipes are strong. They’re slight elasticity resists snapping. They’re strength and flexibility makes them a good choice for those who live in an earthquake zone where pipes might be tested during a temblor. Copper naturally resists bacteria. That’s a good trait since it helps keep water clean. Copper doesn’t burn or release harmful gases during fires. Some people value copper because it can be recycled and is considered environmentally friendly. Copper is a good choice for pipes exposed to light. This type of metal isn’t damaged by exposure to ultraviolet light. What Are the Disadvantages of Using Copper Pipes? Copper piping is expensive when compared to PEX. In some cases, using copper costs 10 to 15 times more than using plastic pipes. Freezing weather can break copper pipes. Copper corrodes, though not as easily as some other metals. Copper may be unsuitable for homes that draw water from a well where the water pH is acidic enough to cause corrosion. When copper begins to break down, it give water a metallic taste. Although copper pipes are easy to work with, they take longer to install than PEX. The connections in copper are soldered which slows the installation process. If you need new pipes, we can identify what you currently have and recommend the best type of material for a replacement. Many homes have a mix of copper and plastic pipes. Our skilled plumbers can repair or replace any pipe in your home.Plastic pipes are cheaper to install and repair than copper. Plastic has become the standard in modern plumbing. Simpson Plumbing uses PEX pipes with a 25-year manufacturer’s warranty. Our pipes are guaranteed not to break or crack with normal use. In addition, our plumbers offer you the highest-quality work available. Call us at (360) 834-5311 for more information about pipe repair and installation.